Ever since I called myself a “lazy gardener” in my other blog posts on raised beds, not stepping on plants and mulch, I’ve been wondering if the word “lazy” comes from the French “laissez faire,” or “deliberate abstention from direction or interference…” In my case, the less I have to interfere in my garden, the more time I have to prepare and eat the food from it. 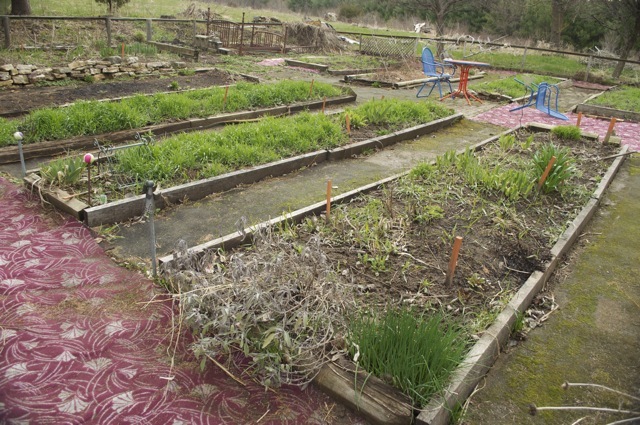 Here is another areas where I significantly more vegetables in my small community garden plot. Some vegetables are harvested mid-summer. Think onions and garlic. Succession planting can make sure your valuable garden space doesn’t go to waste for the rest of the season. Create a planting scheduled so you don’t forget to get those seeds in on time. Watch the maturity time on seed packets. It’s no fun planting 50-day beets 30 days before the first frost. Plant fast-growing plants near slower growing ones. 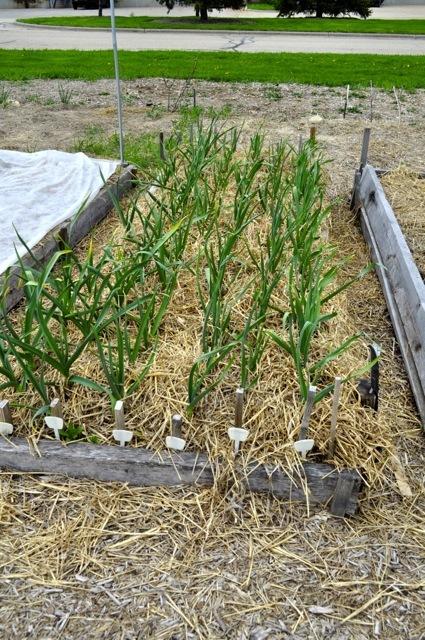 For example, plant garlic (fast) near peppers (slower) - after your mid-July garlic harvest, the peppers will fill out and take up the empty space. In late July or early August, plant beets, carrots or radishes, all of which will grow before the first frost hits them. In September, plant lettuce to harvest later in the month. It likes cooler weather. 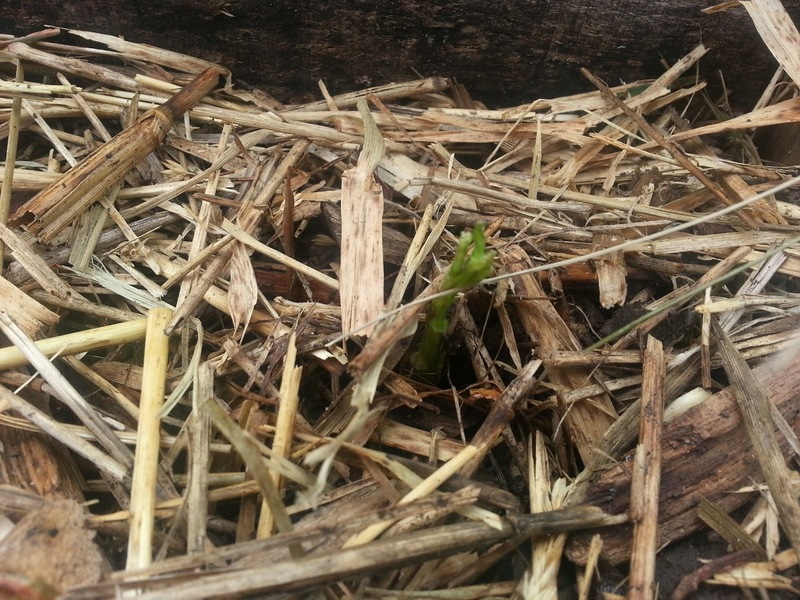 In October, plant garlic for harvest next season. Autumn-planted garlic is harvested in July. 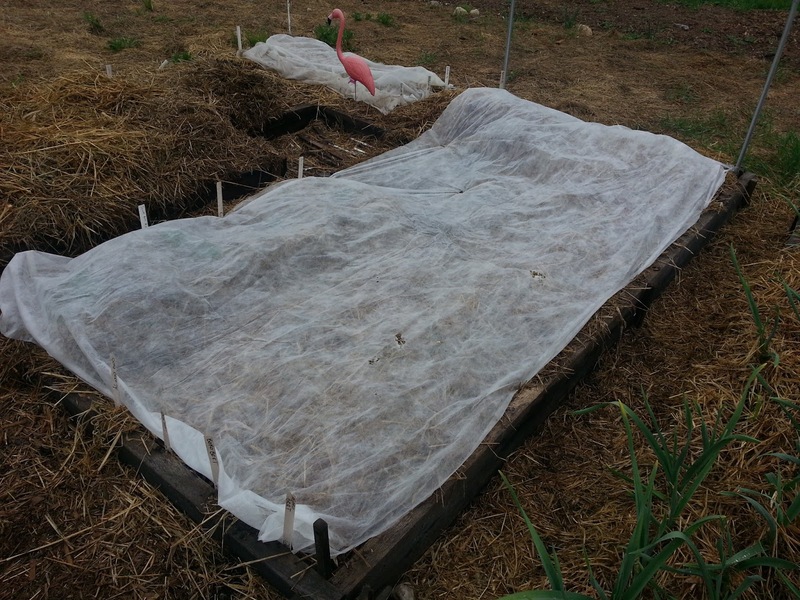 I will put in a crop of lettuce or short-season carrots for the remainder of the season. 50-day beets were planted in mid-April to be harvested in summer. Edamame (soybeans with edible pods) go in next, and later in the season I'll plant a 240-day carrot which will be harvested next summer. When giving a tour of my vegetable patch, I call myself a lazy gardener. It usually gets a laugh, but more important, it gets people’s attention. Here is one of my top tips to decrease work, increase fun and grow more vegetables. Raised beds. I like raised garden beds, and they can be simple or complex, all serve the same purpose. 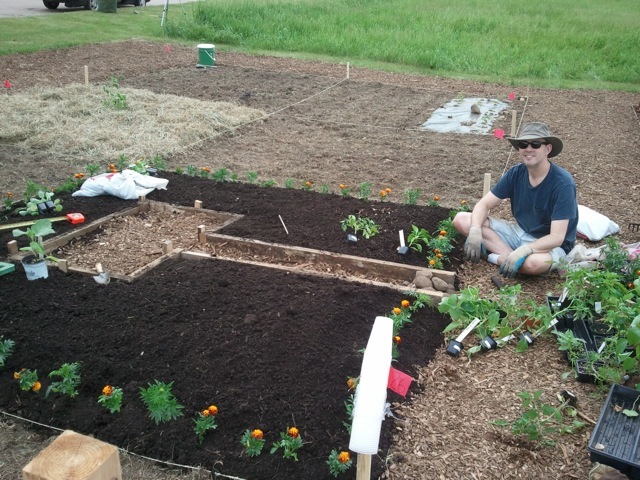 Garden beds can be reinforced (made of scrap lumber six to eight inches tall), or simply unreinforced (mounded up soil). 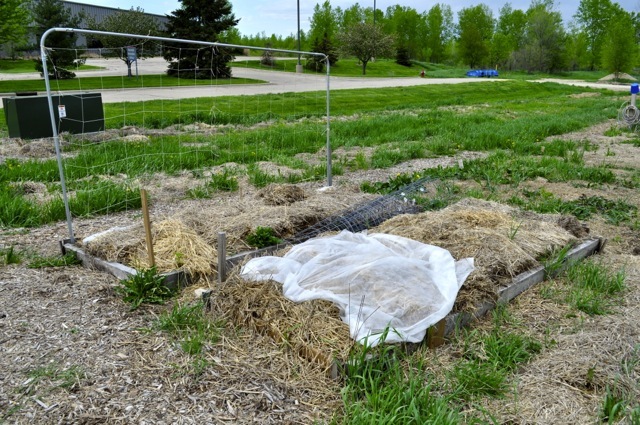 Beds can be built before planting or after harvest (for the next season). These are the raised beds I grew up with. The art deco carpeting was a later innovation. This is the "keyhole" design for my 10x10 garden. Fewer square footage for paths is more for vegetables! I visited my community garden plot shortly after it stopped raining. 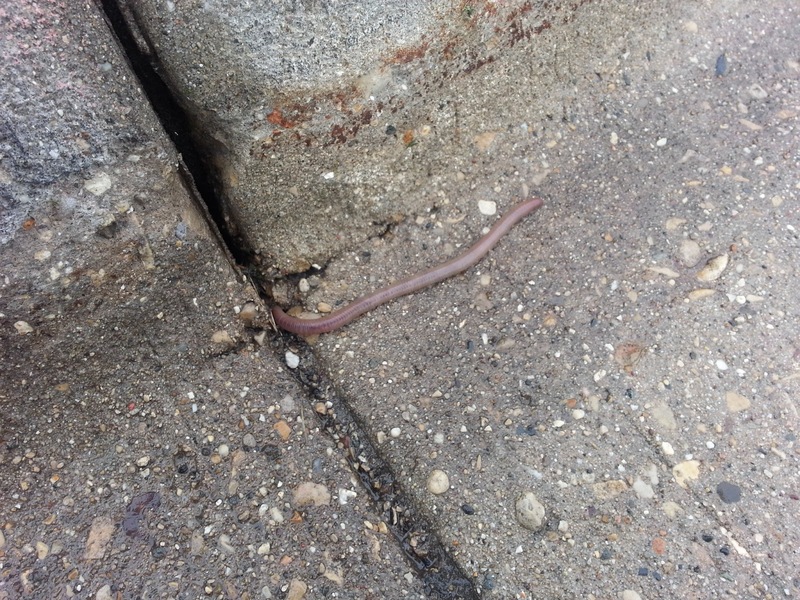 As I drove to the garden, I saw hundreds, if not thousands, of worms on the road pavement. I felt bad for them, it was a cold morning and they were getting squished by countless cars. 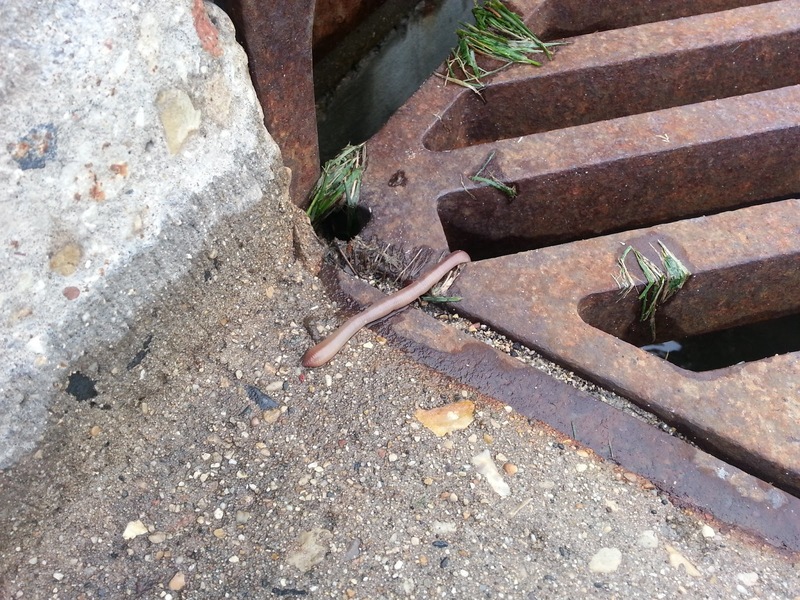 As I stepped out of my car, I looked down and there was a big nightcrawler. I went to the garden and found a small bucket, and started following the curb and gutter along and then past the garden. 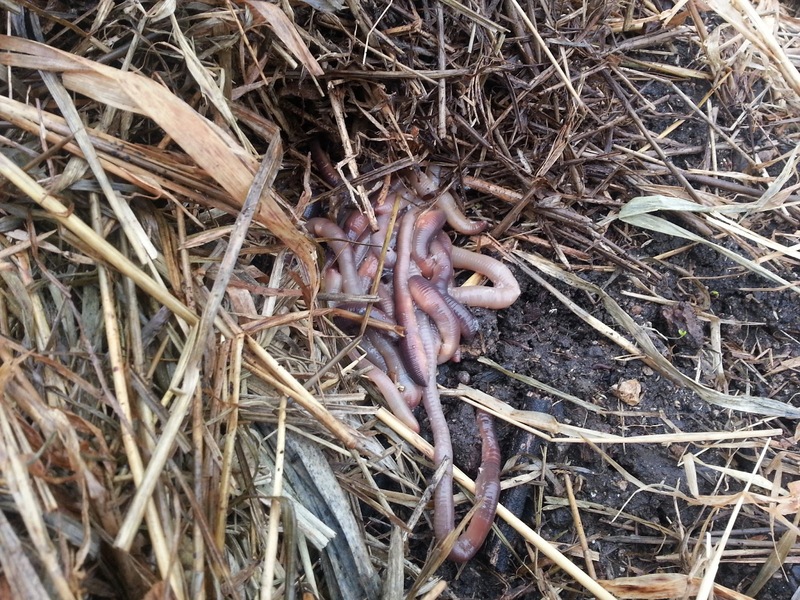 It was littered with slow moving but not dead or squashed worms. I picked one up and dropped it into the bucket. 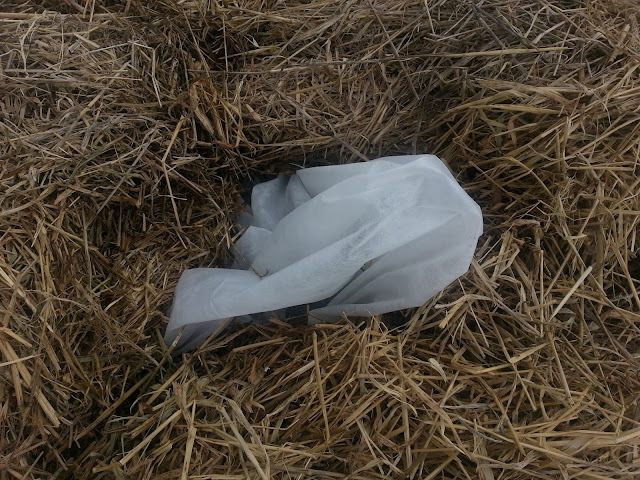 It's fairly compelling to pick them up - and keep picking them up. There's always one more just a few feet up, and another a few feet further. I had limited time, so I when I arrived at an intersection I turned around and returned on the other side. Here's what I found. 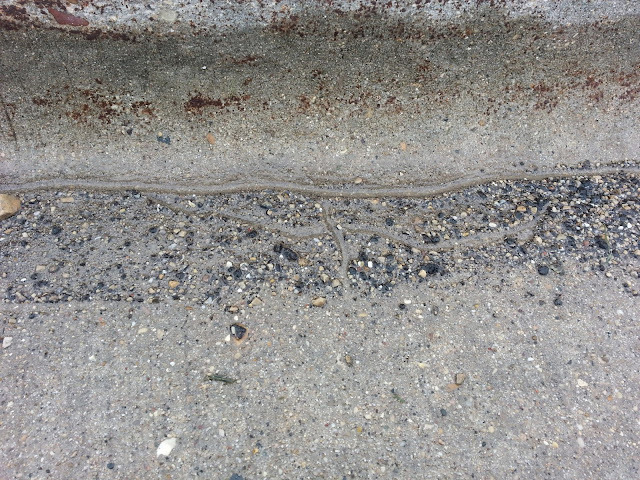 Well-worn worm trails in the sand and small gravel. "March of the Penguins" got nothing on these slow-moving creatures that were desperate to get out of the approaching (and deadly) sun. 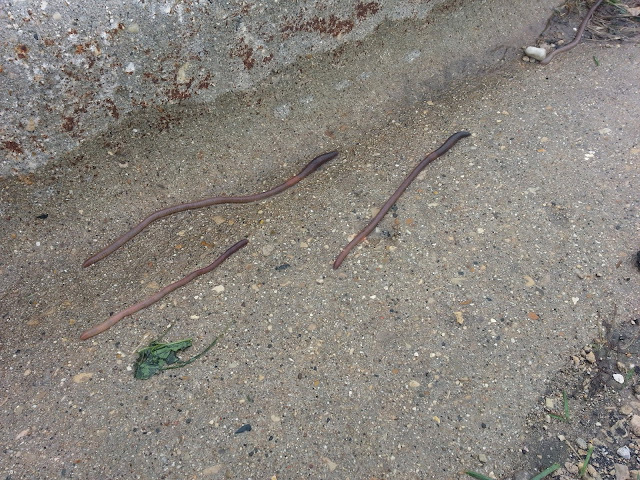 Some of the night-crawlers found escape in pavement cracks like this one, but many other worms were trying to escape to the soil through cracks far smaller than the worms. I promise this was not a staged photo. "Noooo," I pleaded with the nightcrawler, "Don't jump." Fortunately I was faster than he/she was. 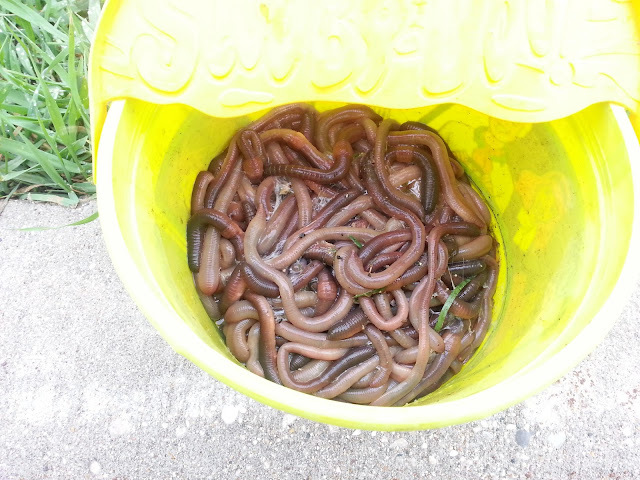 A nice bucket full of worms and nightcrawlers. I dropped handfulls of worms in each of my garden beds, and covered them with mulch. The mulch would protect them from the sun and keep them moist. Hopefully they'll stay in my garden. I was in my community garden plot today installing row cover (great explanation of what row cover is and why to use it here) and ran out of ground staples. These are 4" staples used to secure the cloth down. 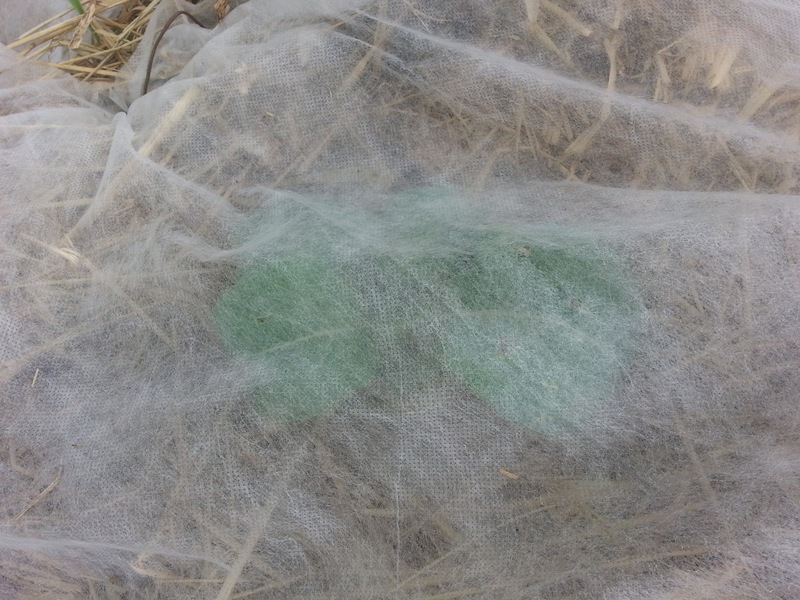 It takes a surprising number of staples to keep the cloth from blowing away. So as I rounded one side and discovered just one more staple left, I had to come up with a creative solution. 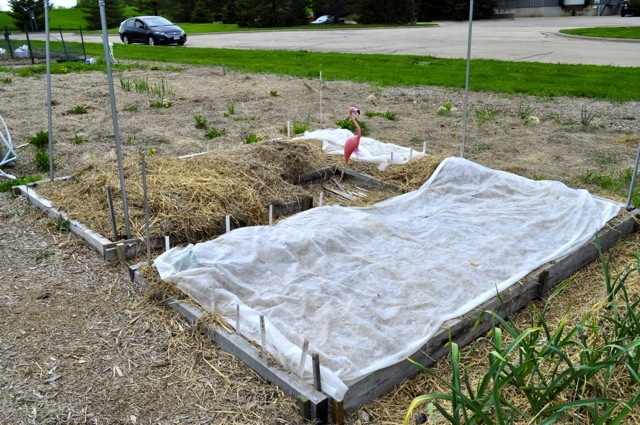 Row cover keeps in moisture and heat, just what seeds and plants need in the spring. Last year, we marked garden plots with "utility flags," those orange or yellow plastic flags on a thin but stiff wire. 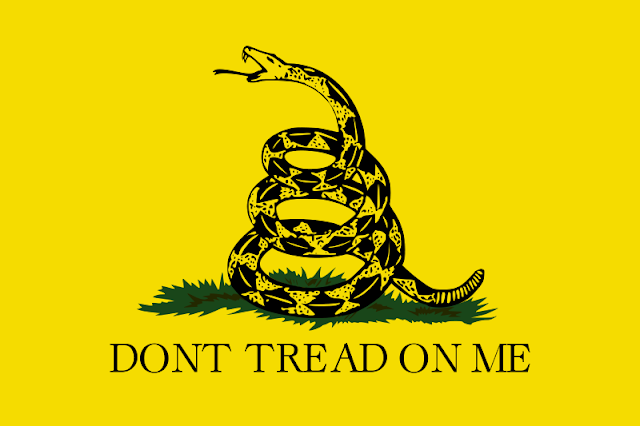 This spring, I noticed that the flags had all but disintegrated but the wires were still in the ground, and were difficult to discern from the ground - it's brown on brown - and probably a eye-poking hazard. I found one, bent it in half and stuck it through the ground cloth and down into the hay. 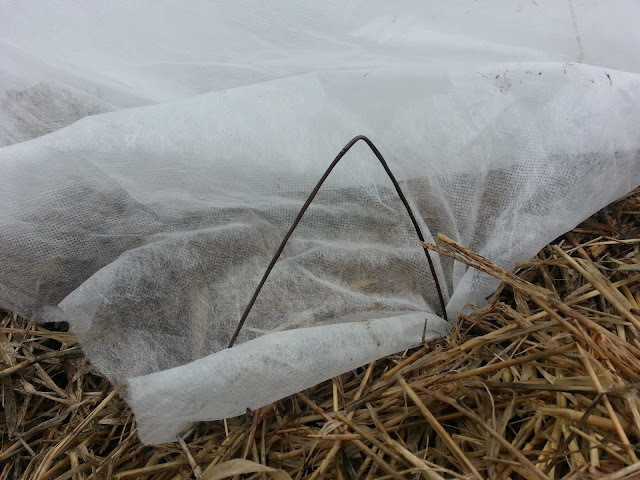 It was perfect, in fact, more perfect than the staples because these had 6" "legs" which easily reached the ground through thick hay mulch. Pushed down even further, the flag wires made great staples to hold down the ground cloth. I took a few minutes to walk through the garden pulling up a dozen flag wires, and easily finished staking down the ground cloth, quite pleased with this reuse of something otherwise left to rust away. I've been throwing the term "permaculture" around for a couple of blog posts, and I decided it's time to actually define it. 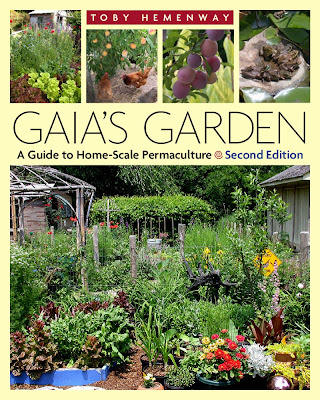 Permaculture (permanent + agriculture) is about working with nature not against her, resulting in a more beautiful, abundant and forgiving garden. It's about observing what we see, determining what we have, and deciding what we will do with what we've got. After an intense period of developing a permaculture garden, it's also a lot less work than a traditional garden because the system is feeding itself (fewer inputs), watering itself (less time with hose), and is designed to get a little wild and that's just ok.
What particularly draws me to permaculture is that one doesn't have to have a 100-acre, 10-acre or even one-acre plot of land to create an ecosystem of assembled plants, insects and in some cases animals. Permaculture is about building and maintaining soil fertility, catching and conserving water, providing habitat for beneficial insects birds and animals, and growing in edible "forest" that yields seasonal fruits and other foods. This does not mean that I'm not going to grow my beloved eggplant, tomatoes, peppers and other annual plants. It does mean I'm going to augment many of these annuals with perennial plants, and create a symbiotic system that works together, and with nature, not against it. Permaculture is taught in an intensive 80 to 100 hour course, resulting in a Permaculture Design Certificate. Sometimes PDCs are residential courses that take place over 10 to 14 days in a row, where students live, study and work together on projects. The course I am enrolled in involves the same amount of hours spread out over 10 months. I'm grateful for the extended time because it not only gives me more time to accomplish the reading material, but also more time to reflect on what I'm learning and use it in my garden over time. 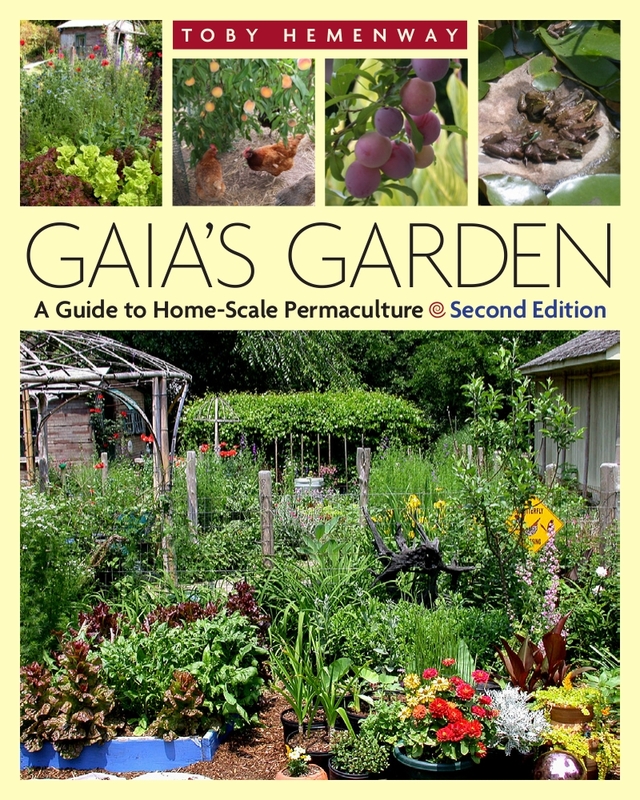 I'm reading the following book for my permaculture course, I particularly like the "home-scale" part of the subtitle. I will certainly be talking more about what I learn and how I'm using it in our garden.